Ultegra Di2. In 2015 I rode from Istanbul to Belgium as a warm up before heading back in the TCR. After some 6000 km of riding my hands had pretty well stopped working so I’ve opted for a Di2 electronic shifting setup to save my hands. Magic. I’ve had the Di2 modified with the K-Edge cage to allow for an 11-36 rear cassette. Will need it for the Snowy Mountains. I also have the Di2 wireless remote which displays the battery level on my Garmin 1000. Will help ensure I keep it recharged. I also modified the Di2 to have buttons on the end of my aero bars and also on the handlebars. The post on how I did that is here. Wheelworks Maker carbon wheels. I treated myself to a pair of these with 35 mm rims. While the 50 mm rims would be more aerodynamic, just look at my bike with all the bags—definitely not aerodynamic! The 35 mm will give me a softer ride. The front wheel is running a SON dynamo. Using Hutchison tubeless Sector 28 tyres with Stan’s Race Sealant. 4iii Power Meter. My Stages power meter failed in both the TCRs so I’ve given up on them. Great service, but just not reliable enough. New Shimano XTR Trail M9020 SPD Pedals. Learned my lesson in TCR 2015 not to use existing pedals! Ergon CF3 Pro carbon seat post. This has great dampening for a solid seat post. Had to be creative to fit the Di2 battery, but made an aluminium frame to hold the battery lower. 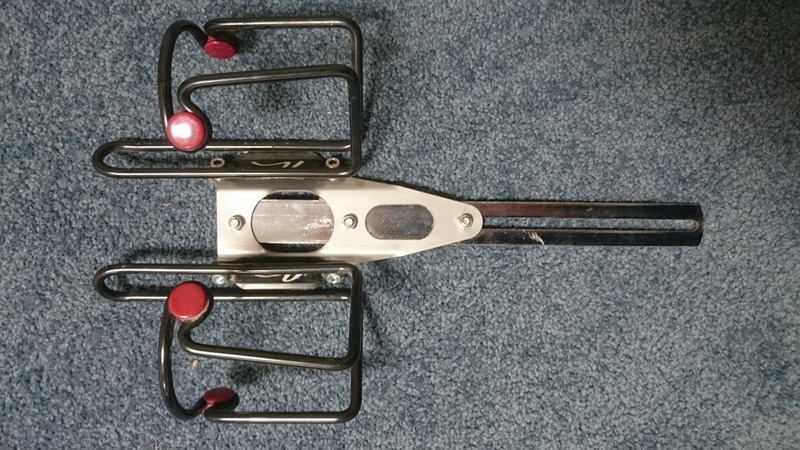 Profile Design T1 aero bars. I’ve put on some Profile Design 50 mm spacers under them which is great. Not as aero but much more comfortable so I find my self using them more than before when I was much more aggressive. Carbon 3T handlebars with Lizard Skins 3.2 mm bar tape. Gel pads under the bar tape as well. Porcelain Rocket seat bag. Brilliant design as ther e is a frame which prevents seat sway. Not supposed to be used with carbon seat posts but was told will be OK if I don’t over tighten. 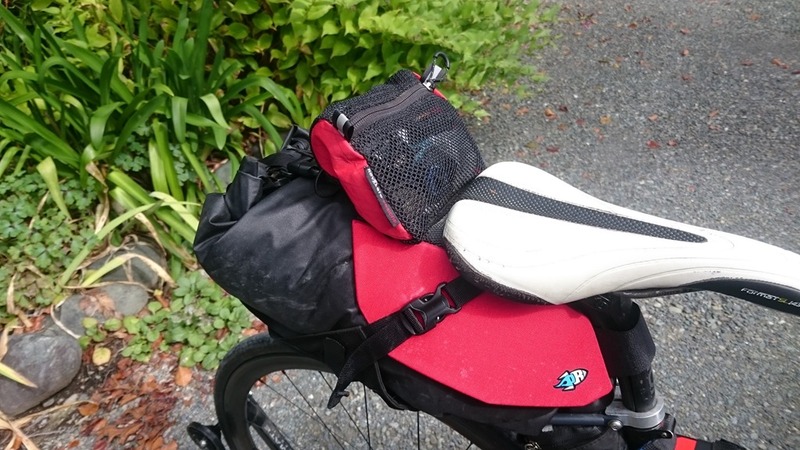 I had one of the small Revelate mesh SPOT tracker bags sewed on top to store items I need ready access to. 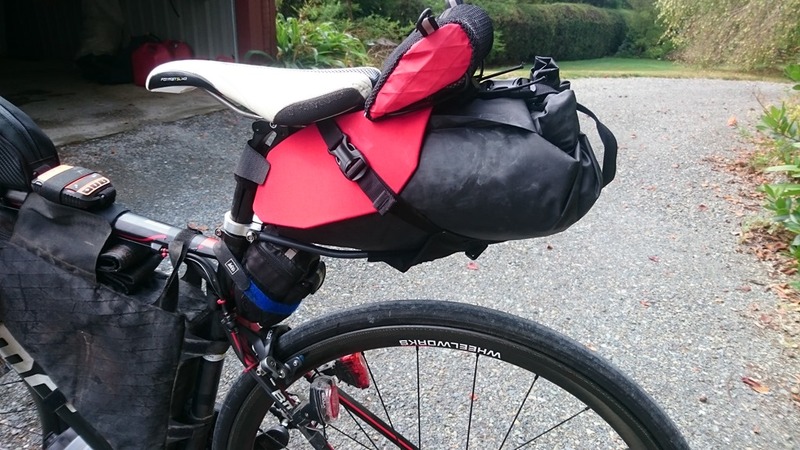 Topeak large gas tank bag. These really are the best that you can get. They are waterproof and even have a port on the left side for putting through the dynamo charge cable. Bedrock Bags SPOT harness. You can see it to the left of the gas tank bag. 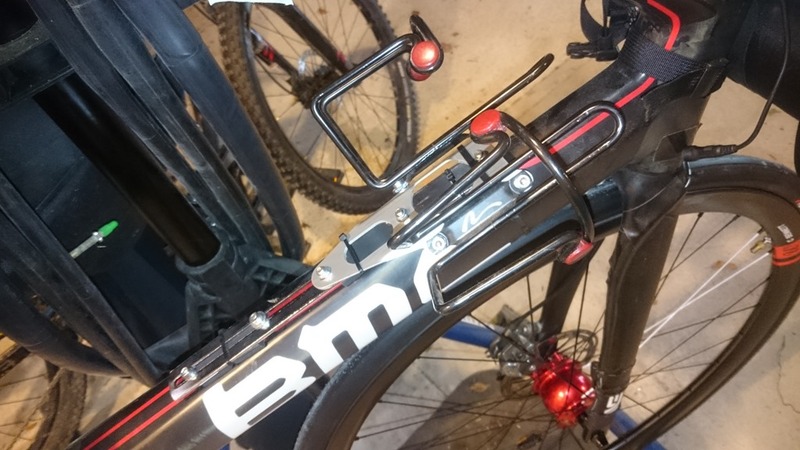 This is a brilliant bit of kit which allows you to put your SPOT tracker on the top tube. 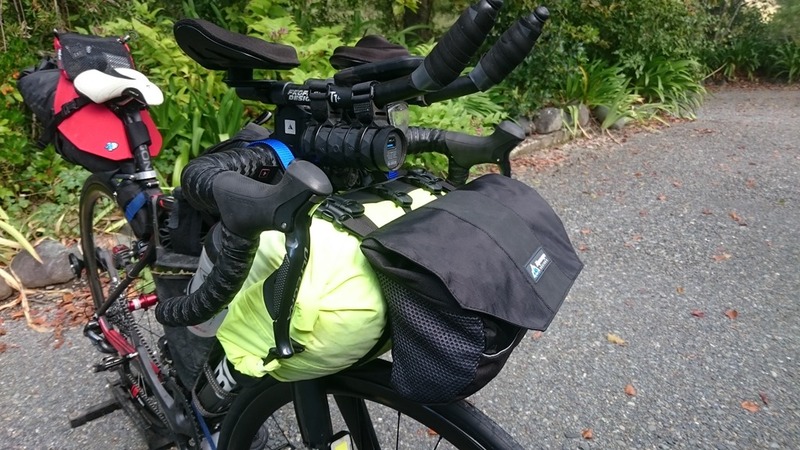 Alpamayo Designs harness and handlebar bag. This is a really nice ly designed system. The harness has an excellent mounting system with the handlebar. There are spacers which means my fingers can wrap around the bars. The bag is waterproof and cavernous with mesh pockets on the side. 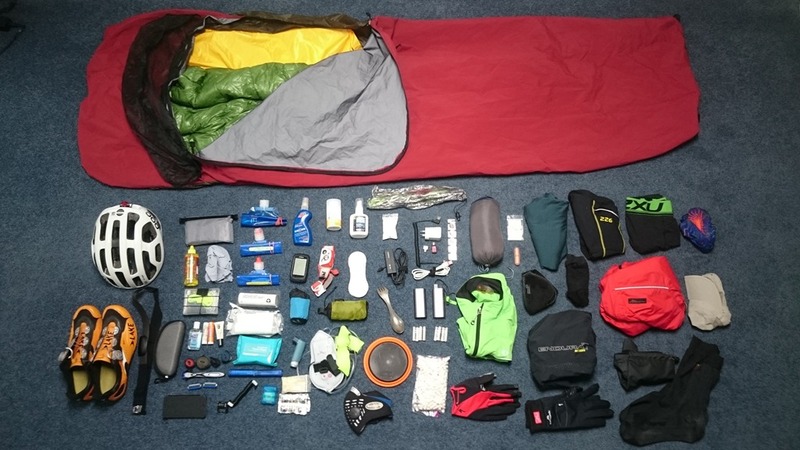 I am using a 13 litre Alpikit dry bag in the harness which contains my bivy and sleeping kit. 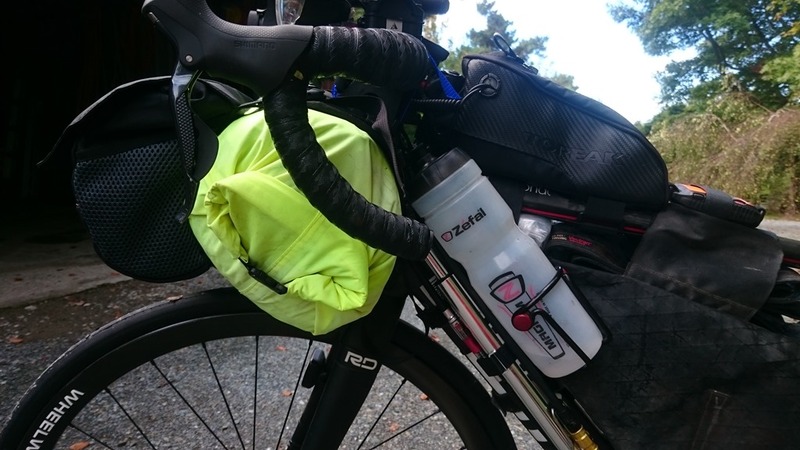 Revelate frame bag. I’m using this because I will need lots of storage for water and food crossing the desert. It has been on multiple Tour Divides but still works great. As you can see from the photo it is too small for the frame, but I’ve used the space for a spare tyre and tube. I have 3 x 1 litre water bottles on the frame. Two are mounted on the frame with an offset holder made of steel by a local. M-wave make an off the shelf version, but this is better. 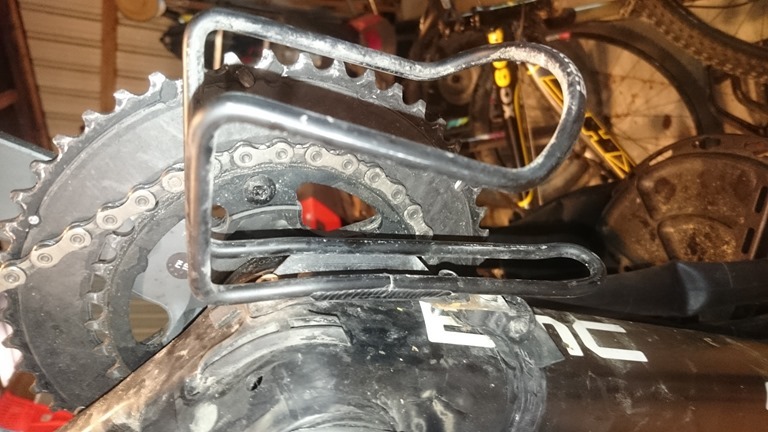 I moved the holder up the frame to clear my knees by using a bicycle rack holder. The other bottle is mounted above the bottom bracket. 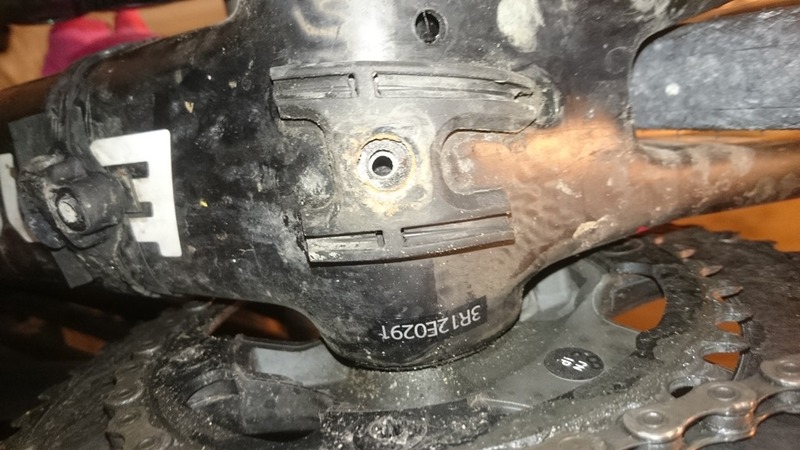 Most bikes have a hole in the bottom for routing external cables. 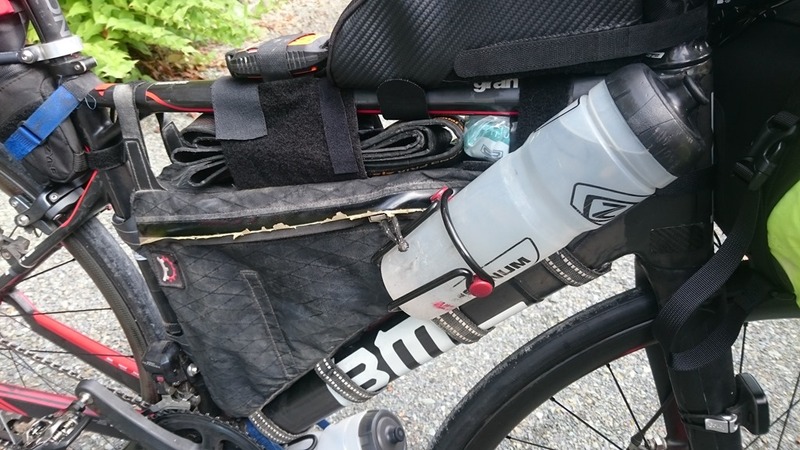 I used that as well as second wrap around mount on the frame to connect the water bottle. I use a velcro strap to wrap around the bottle and hold it in place. 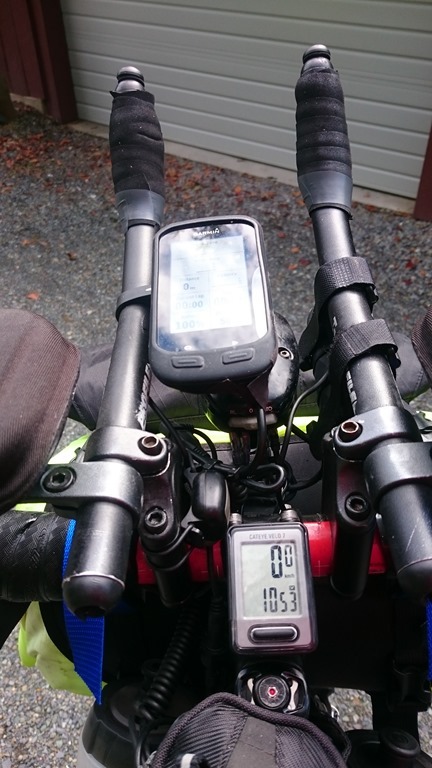 Garmin Edge 1000. My main navigation computer, with a Garmin 800 in my handlebar bag as a backup. I’ve had the Garmin go funny on me in every long distance race I’ve done so I’ve learned to have a backup! Cateye Velo 7 trip meter. This will be my main way of monitoring the cumulative distances travelled. Can’t rely on the Garmin GPS! I have made four small laminated cards with the locations of all supply points along the route. I am using my Luxos U as the dynamo light. This has a USB output as well which is routed into the gas tank bag. It is also connected to a rear light. There is also a B&M e-Werk in my gas tank bag which is a separate dynamo-USB converter. Called redundancy. I also have a USB rear light. More redundancy. A Knog Blinder front light is on my forks. This will be in ‘flashing’ mode when cycling at night to warn oncoming drivers of my presence. I also have an OT Buckshot Pro waterproof USB rechargeable Bluetooth speaker under the right aero bar. Here it is all laid out. 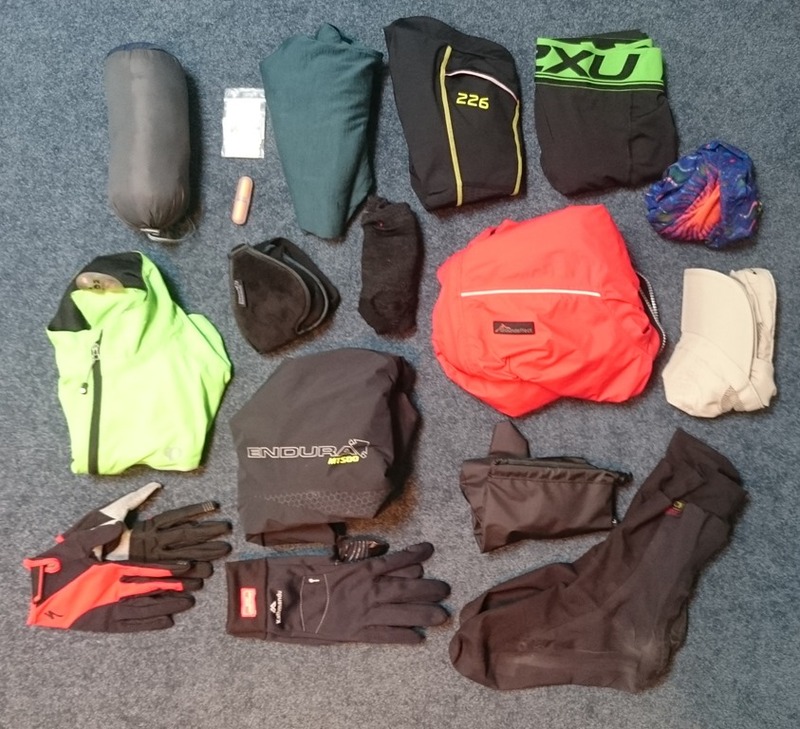 I’m very heavily laden compared to some racers, for example I take full rain gear and a bivy bag, but this is because I know cold and wet are the biggest risks I face (after being knocked off my bike!). For day-to-day riding clothing are Ground Effect—what else? It is the best available. All clothing treated with Sawyer Pemethrin to protect from bugs. 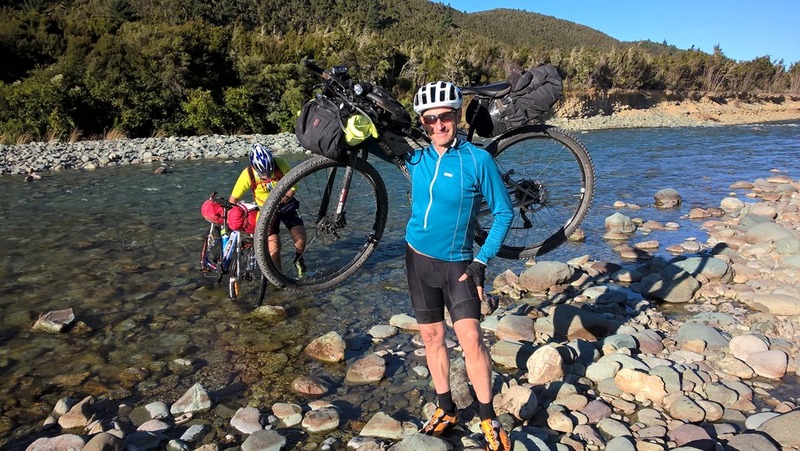 The photo below is the full kit after fording a river during the 2017 Kiwi Brevette. Neck balaclava for protection against dust/sun etc. 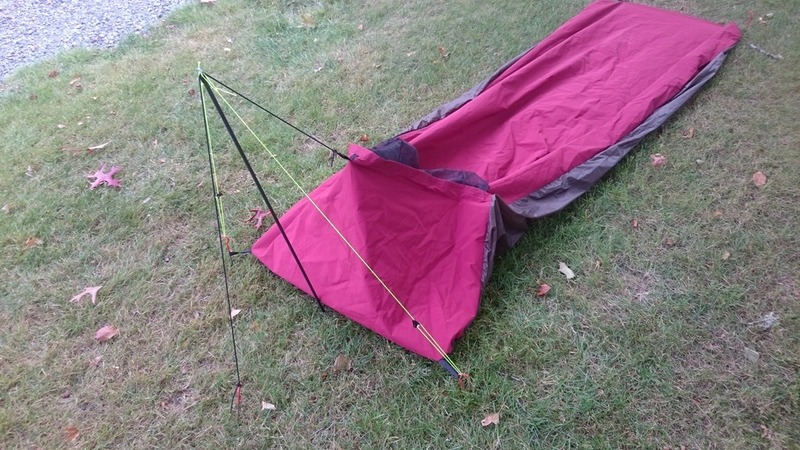 Borah Gear e-Vent waterproof/breathable bivy. I had a Mountain Laurel Design ultralight bivy, but decided on the Borah Gear one because it is waterproof instead of just resistant. I sprayed the bottom of the bivy with Sawyer’s Pemethrin to protect it against the ticks and other nasties one finds in Oz. One thing I don’t like about bivy bags is when they rest on my face. Since we will be in the desert I made a simple pole setup using a Z-Packs carbon pole and some cables to hold it up. I also put one of the Z-packs adhesive net bags inside the bivy to hold things (like the mat patch kit). I used to use an X-Frame mat, but I’m getting old so prefer the full body coverage of the Sea to Summit mat. Balm for my sit region which I put when finished riding for the day after cleaning with travel towlettes (unless I’m in a pace where I can shower!). I use the long sleeve shirt and triathlon shorts for sleeping as well as other times, for example if I’m doing laundry or at a place where I need to look less feral. The shorts also double as a swim suit. I’m a bad sleeper—even when racing—so sleeping pills are helpful. When it is really hot I often race at night and so sleep in the day, hence the mask. Xperia Z3 compact cell phone with lots of pod casts and music loaded! I’ve divided my tools and parts into separate locations. The top tube contains a Specialized SWAT chain tool. The inside of the frame bag has 3 x spokes held by velcro to the top. 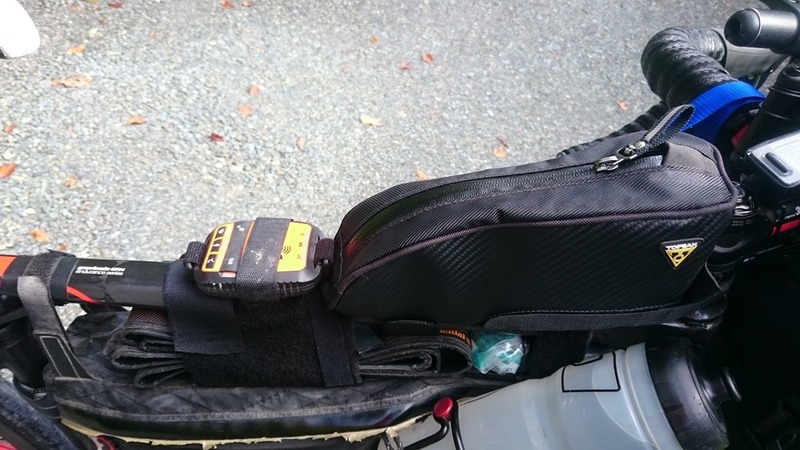 The gas tank bag contains 2 x torx wrenches for adjusting the Luxos light angle. 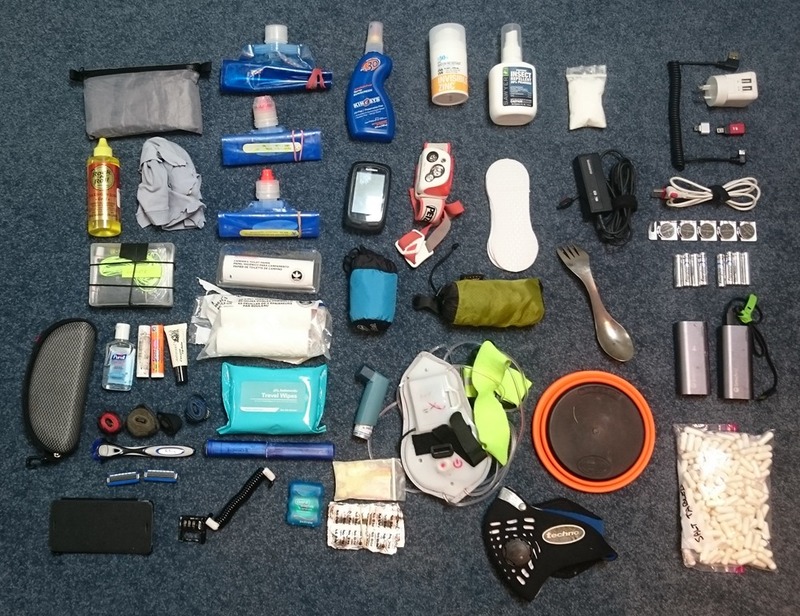 Under the seat bag is a small Lezene waterproof tool bag with the ones I am likely to need access to. The rest are in ‘deep storage’ in the seat bag. Finally, I have a Lezene micro floor drive pump which is mounted behind one of the water bottles. This has a gauge which I have put tape around at the 80 psi mark so I don’t need to focus to much. They are remarkably light, and infinitely better to use than the small carbon hand pumps I previously used. I think that is about it. 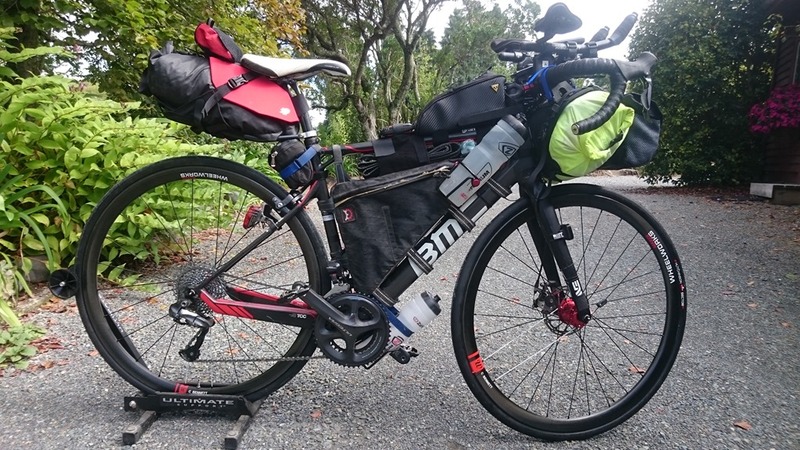 Total weight of bike and gear is 21 kg. Yes, it is on the heavy side, but I know my limitations so I’d rather err on the side of caution. 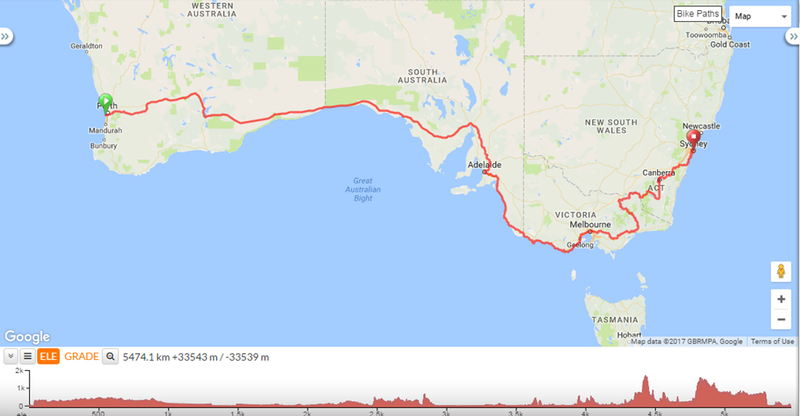 Now I just need to ride my bike across Australia! Thanks for sharing and including all of the details. All very interesting. I particularly like the water bottle mounts.